It seems that the more socially ‘connected’ the world becomes, the more traditional social skills suffer. This is particularly true among younger people who are growing up in a society where interpersonal interaction often involves a screen of some sort. While social dexterity may be on the decline, the public’s appreciation for a socially adept person remains steady. Who among us doesn’t prefer a charismatic, considerate waitress or service person? People with good social skills stand out among their peers. Others enjoy being around them. Employers and leaders prefer working with them. As a parent, you can begin teaching your kids to be socially savvy from an early age, but it’s never too late to start. One of the advantages of teaching sociable behavior to older kids and young adults is that they can actually see and appreciate the benefits associated with honing these abilities. A polite person makes others feel comfortable, welcome, and appreciated. Good manners are a way of demonstrating to others that we respect and care about them. 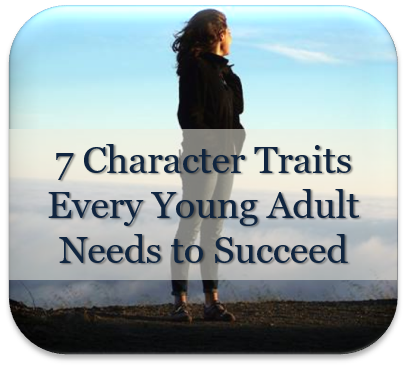 They are an indication of maturity and self-awareness, not to mention self-discipline. A person who treats others well understands the impact of his or her actions and chooses to influence others in a positive way. A good listener is one who makes eye contact, lets others speak without interrupting, and seeks to clarify other people’s meaning before forming opinions or offering a response. Stephen R. Covey said, “Most people do not listen with the intent to understand; they listen with the intent to reply.” Instead of hearing what another person is saying, we often fixate on a witty, profound or stinging ‘comeback’. This greatly interferes with communication and makes it hard for people to reach true consensus. It can also make the person with whom we are conversing feel undervalued or defensive. As parents, the best way to teach this social skill is through example. We can help our kids appreciate what a good listener is by practicing our listening skills on them. Sometimes it’s hard to give kids your full attention, but they are much more likely to listen to you when they are older if you have made a concerted effort to listen to them. Empathy is about being able to put yourself in someone else’s shoes, to understand their situation from their perspective. When we are truly empathetic, we alter our own behavior to accommodate the feelings and needs of others. An empathetic person is able to offer help at times of difficulty without being asked. They can sense what is needed, and they act without invitation to fill those needs. As social skills go, empathy is complex and nuanced. Often it involves more doing than talking. While others are assuring a person in need that they “understand what you’re going through”, the empathetic person is demonstrating their understanding by filling unspoken needs. While families make an excellent training ground for honing this important social skill, empathy is not something to be practiced solely among those closest to us. It plays an important part in understanding differing viewpoints, resolving conflicts, and connecting with others (be they siblings, roommates from different backgrounds, customers, coworkers, or complete strangers). Conversation is an important part of human interaction, but as a social skill it seems to be dwindling in both popularity and competency. The more we interact through an artificial medium, the less comfortable we are carrying on meaningful face to face discussions. Understand it’s not about you. Try to shift the focus from yourself to those you are conversing with. Find out what interests them and ask insightful questions that demonstrate you are listening and you care about what they are saying. Be positive. No one likes a complainer. Learn to talk about meaningful things. Small talk is always awkward. It’s an indication that people don’t have anything worthwhile to say to each other. Learn to cultivate conversations by asking questions that will lead to an interesting discussion and help you broaden your horizons. Don’t complain about your problems. It makes people uncomfortable, and it makes you look self-absorbed. Most young adults will have a roommate at one point or another. It may be in the form of a sibling, a friend, a fellow student, or a significant other. Whatever the case, certain social skills are valuable to have in order to make the experience a positive one for everyone involved. 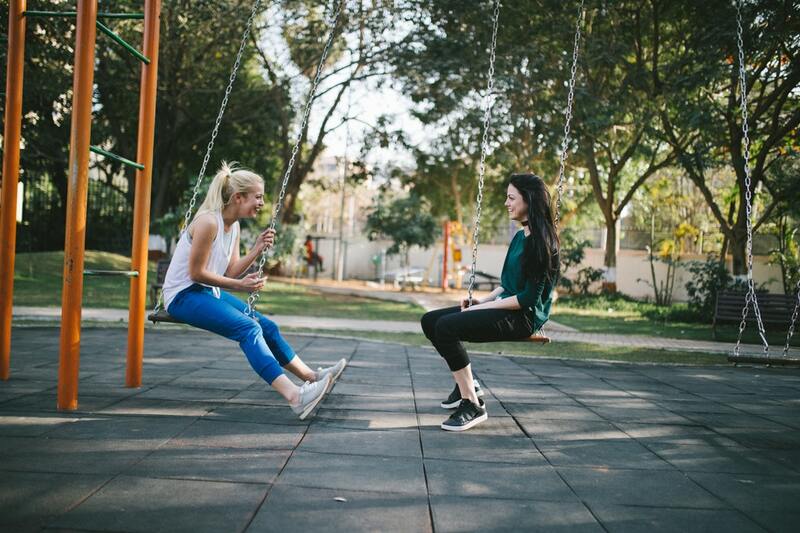 The home environment lends itself particularly well to practicing and cultivating the various social skills associated with becoming a good roommate. First and foremost, kids need to learn to clean up after themselves. As a parent it’s often easier to do it yourself, but you’re not doing your kids (or their future housemates) any favors by picking up after them. Taking responsibility for oneself is part of learning to be considerate of others. Consideration in a shared living environment means respecting others’ possessions, time, needs and personal space. 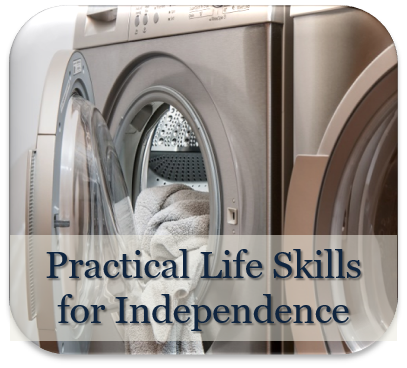 This article represents one of a series of pages on helping young adult children transition to independence. 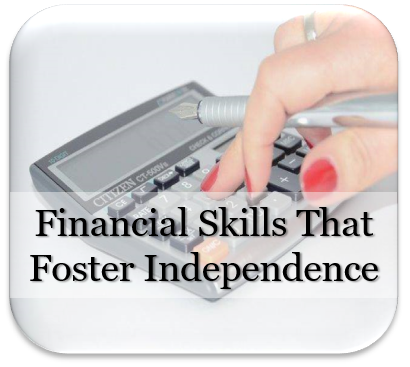 Other skill sets discussed in the series include financial skills, practical life skills, and character skills. Click on the icons below to read more. If you liked this page, please share it. Please post your thoughts on the topic in the comments section below as well. I'd love to hear from you!